Stanford Advanced Materials (SAM) is a trusted supplier of plasma spray grade and high purity chromium metal powder. Other high purity chromium metals: High Purity Chromium Bar/Rod (Cr Bar/Rod), High Purity Chromium Ingot (Cr Ingot), Chromium Metal Pellets (Cr Pellets), etc. Chromium is a lightweight blue-silvery white metal. Due to its high corrosion resistance against many different acids and bases as well as hot gases, chromium is a popular material for all types of protective coating. In combustion equipment, chromium is used as a wear-resistant coating to increase the service life of specific components. As a component in high-temperature fuel cells, chromium also performs brilliantly. 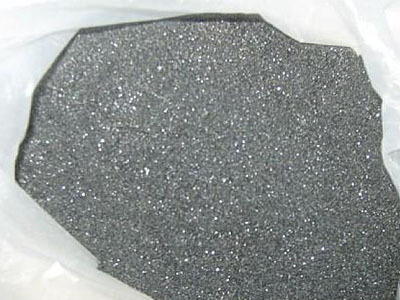 Besides, chromium is often used as a brilliant decorative coating for operating elements on appliances or jewelries. Our Chromium Metal Powder is clearly tagged and labeled externally to ensure efficient identification and quality control. Great care is taken to avoid any damage which might be caused during storage or transportation.